Just a 10-min call with our Internet Marketing Merchant Specialists will save (and make) you money! Get started right away without long-term contracts, upfront fees or crippling reserves. Underwriters who understand your business and the processing trends of Internet Marketers. One-on-one, personalized support to help your business grow and avoid random account freezes and closures. What if I already have a PayPal or Stripe account? 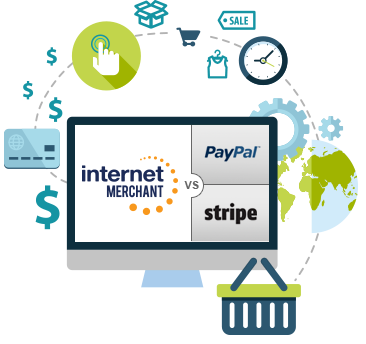 PayPal and Stripe are not merchant account providers. PayPal, Stripe, (and Square) are third-party processors who aggregate all their sellers into one top-level merchant account, passing the risk on to their sellers. Third-party processors don’t take the time to fully understand their sellers. Consequently, it’s more likely that they’ll freeze funds or terminate accounts if there is a sudden spike in processing volume, transactions they deem suspicious, or any other issues flagged as ‘high-risk’ by their risk departments. Due to their perceived risk exposure and general lack of understanding of the Internet Marketing industry, third-party processors charge an inflated rate of 2.9% + $0.30 per transaction to cover any losses they expect to incur while processing your payments. 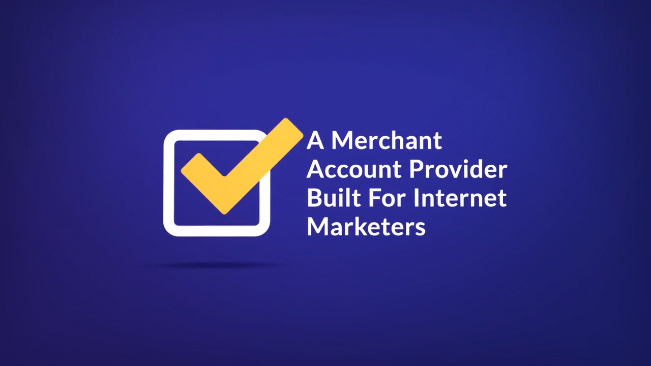 For nearly 15 years, the payment professionals at Internet Merchant have developed personalized relationships with some of the biggest names in the Internet Marketing industry. We weren't always experts in Internet Marketing payments, but through our partnerships and experience over the years, we've grown alongside the industry and perfected our strategy. Wouldn't it be great to work with a merchant account provider who appreciates and understands the Internet Marketing industry? When most other processors are closing the door on Internet Marketers, be proactive and open your account with Internet Merchant before it's too late!